Happy Wednesday! I hope your week is off to a great start! Yay for short weeks that end with lots of delicious food and shopping! I am planning to do all of my Christmas shopping online this weekend. My holiday shopping is actually a whole lot simpler this year since our gift to each other is our trip to Disney! I have been shifting gift giving towards experiences with my children because enjoying places as a family is just way better than tripping over toys any day for me! Today, I'm rounding up outfits from Instagram last week. I have been incorporating quite a few pieces from last year's winter wardrobe. 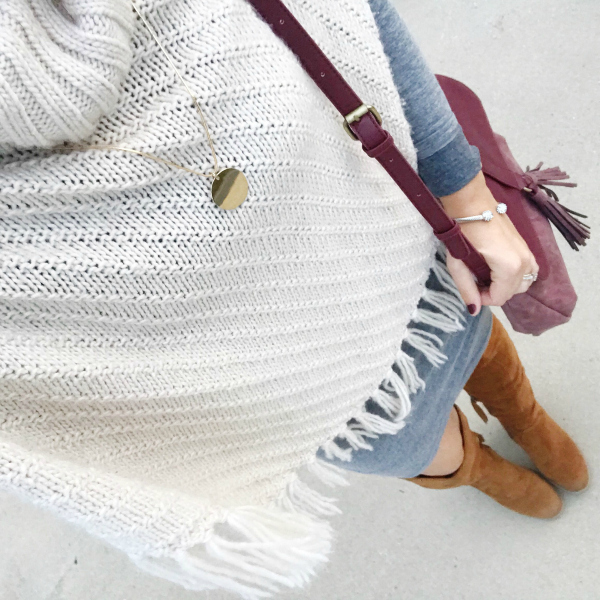 I am loving adding back in cozy sweaters and boots! 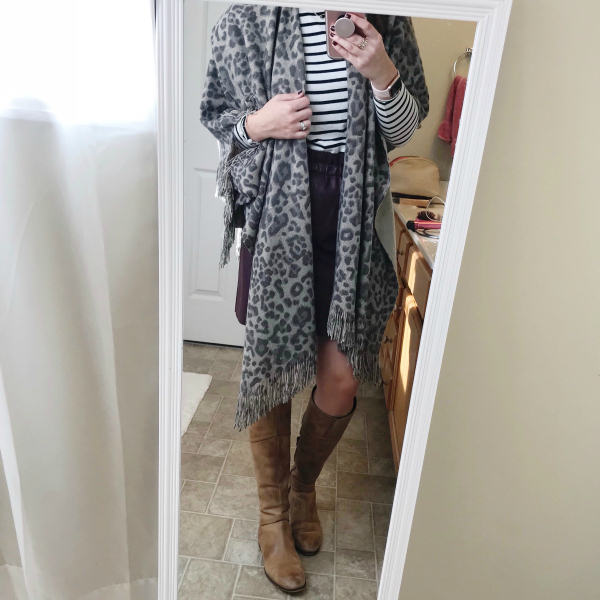 Poncho, similar | I have had this poncho for years! It's such a great piece to throw over a dress for a cozy, put together look. Boots, similar | A neutral pair of over the knee boots is a closet staple for me. Wrap | This color is sold out but I'll be keeping an eye for a restock. 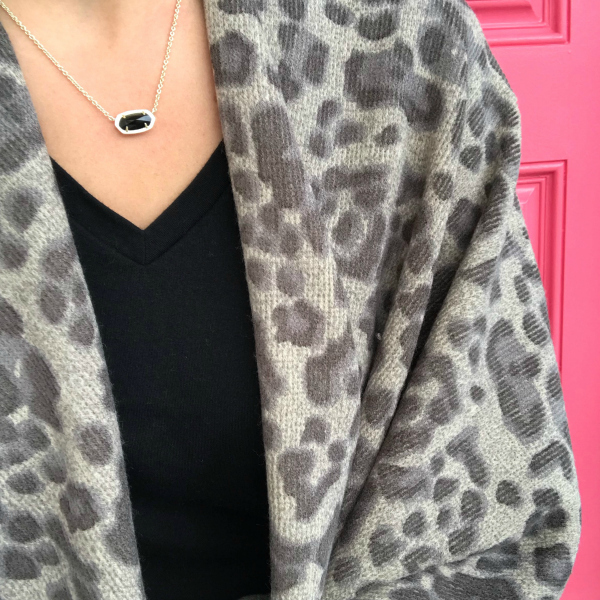 I love a good wrap, especially when it's leopard! Tee | I sized up one size. 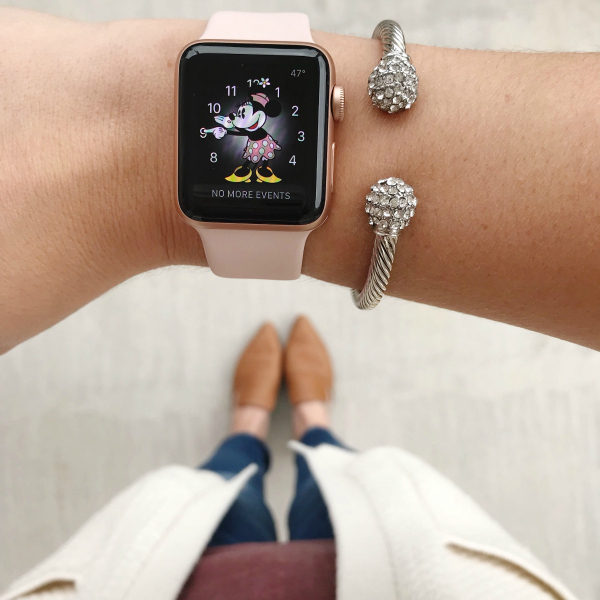 Apple Watch | I have been wanting an Apple Watch since they originally came out. I finally got one for my birthday and I am loving it! Top | Fits true to size. Cardigan | Fits true to size. Bracelet | Such a great look for less! Pants | These were also in yesterday's blog post. I love the skinny fit and they run true to size! Leggings | Fit true to size. This pair is so soft! Shoes | I normally wear an 8.5 and I needed a 7 in these shoes so definitely size down! Sweatshirt | Runs a little small, I would recommend sizing up one size. 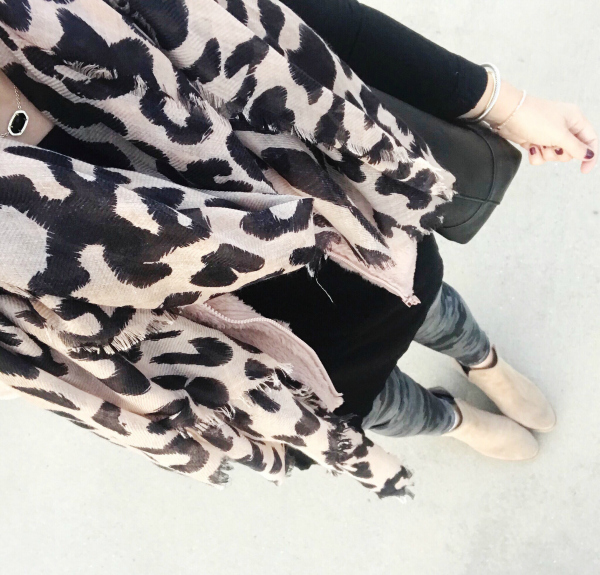 Bag, similar | I love a leopard crossbody! Boots, similar | I have had my boots for at least three years and I always wear them so much! Skirt | Fits true to size. Top, similar | A striped shirt is a closet must have!